In a 2 guard front with the 1 and 2 two to 3 steps outside the three point line (standing about 10 feet apart), the 5 at the strong side elbow, and the 3 and 4 starting in the short corners, the 1 starts out with the ball. The 4 flashes to the weak side elbow. The 1 passes to the 4. The 1 then cuts to try to get a hand-off from 4. If the 4 hands the ball off, the 4 then rolls. 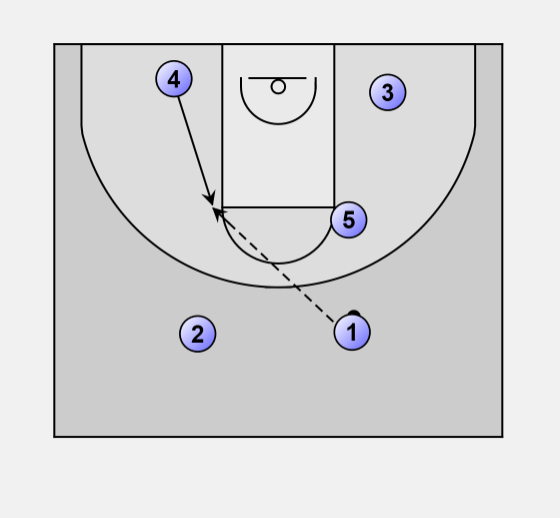 Just as the 1 cuts and gets by the 2, the 2 goes off a flare screen from the 5. 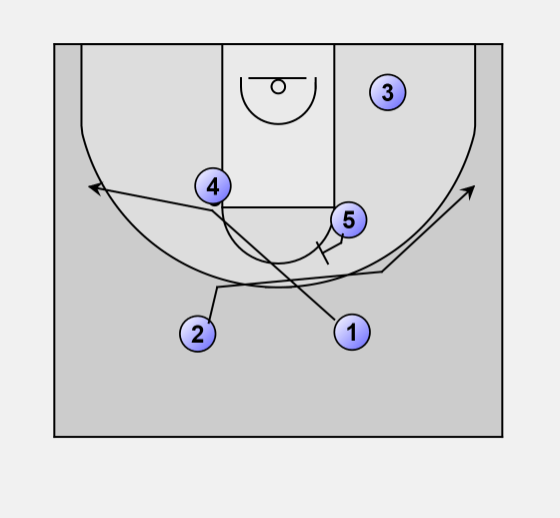 The 3 then steps up to give the 5 a back screen to flash to the basket.